Is head covering a matter of Christian liberty or is it a command that is binding on all Christians? Paul says that God doesn’t command a certain diet or ask us to esteem certain days. Therefore, one person can eat vegetarian while another can eat meat. One can observe a day as special while another can treat all days alike. Both can hold to their contrary views while bringing glory of God. Some other areas that are a Christian’s liberty would be their style of fashion, what media they take in (television, music, news) and how they vote in elections. These issues will have Scriptural parameters and principles to help guide our choices, but there is no command which would only allow for one view. So in summary, an area of Christian liberty 1) is not commanded by God and 2) allows for Christians to hold contrary positions while still glorifying God. Is Head Covering Christian Liberty? Paul says to not practice head covering is dishonorable, disgraceful and comparable to a woman having a shaved head (1 Cor 11:4-6). Liberty issues are marked by a plurality of choices which can bring glory to God while Paul’s choice of language suggests that in this instance only one choice can. For these reasons I believe head covering is a biblical command that should be practiced by all Christians. Some has suggested that head covering is not a biblical command because Paul tells us that we “ought” to practice it, not that we must. The Greek word behind “ought” is opheilo and it occurs 35 times in the New Testament. In it’s various occurrences it’s translated as owed, obligated, ought, should and even must (with a few other words that are closely related). In all instances, opheilo is meant to lead the person to one practice only. It doesn’t carry the connotation of choice, but of obligation. For example, Paul says “husbands ought also to love their wives” (Eph 5:28) and John says “we also ought to love one another.” Those are biblical commands, not issues of liberty. One cannot withhold their love from their spouse or fellow Christians while still glorifying God. 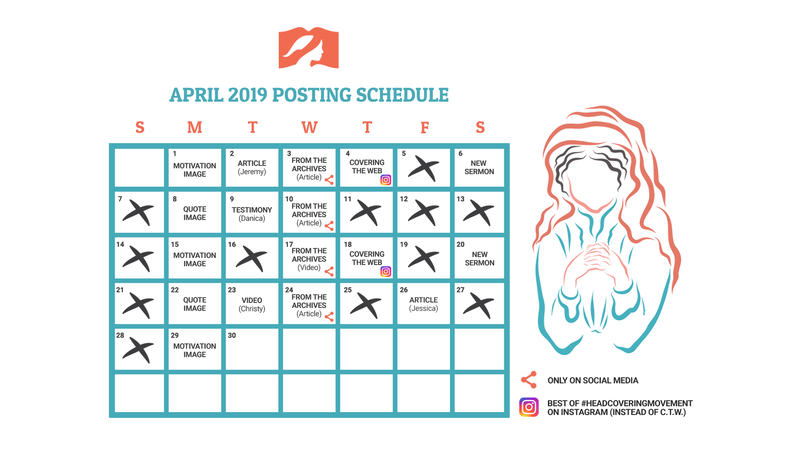 When Paul tells us that a man “ought not to have his head covered” (1 Cor 11:7) and that “the woman ought to have a symbol of authority on her head” (1 Cor 11:10) he’s speaking of something we need to do, not something we can choose if we want to do. Having made a case for why head covering should be understood as a command, let’s now look at what difference this makes. What do we mean (and not mean) when we call something a command? Having said that, there are some important differences for how we interact with a command in contrast to an issue of Christian liberty. I understand that calling something a command may be uncomfortable to some who read this. After all, aren’t we under grace and freed from the Law? I’m not suggesting a return to the old written code which we have been released from (Rom 7:6 ESV). However, I am emphatically stating that Christianity is not a religion of lawlessness (Mat 7:23). Paul said that we are under the “Law of Christ” (1 Cor 9:21) and Jesus said “If you love Me, you will keep My commandments.” (John 14:15). That means Christianity and commandments are not antithetical. Though head covering was taught by Paul (not Jesus) we are told that “All Scripture is inspired by God” (2 Tim 3:16) and that the Apostle Peter considered Paul’s writings to be Scripture too (2 Pet 3:16). That means the black letters are no less inspired than the red. Since 1 Corinthians 11 is authored by God, believers must study this passage with the same vigor they do with the rest of the Scriptures. If they are convinced that a cloth covering is in view and that it is a timeless symbol, they are obligated to observe it and can teach and exhort others to do the same. Could our Christian liberty be in choosing the “style” of covering we prefer as well as choosing whether to only cover during “corporate worship” or to cover at other times as well? I know several people who would make the very same arguments that Jeremy has just made here to demonstrate to you that “choosing the ‘style’ of covering” as well as “choosing whether to only cover during ‘corporate worship’ or to cover at other times as well” are not in the category of “Christian liberty” but rather in the category of “Biblical imperative”. YF, the style is a fine example of Christian liberty since only the result is commanded (covering the head) not the means (what you use to cover it). The “when” would be a command (praying and prophesying) but issues moving past that would be Christian liberty (leading from the front vs. praying from the pew — during the whole service vs. only when engaging in prayer/prophesy — only in church vs. outside of church as well). Ergo, an area that is not in the category of “Christian liberty” 1) IS commanded by God and 2) does NOT allow for Christians to hold contrary positions while still glorifying God”. Therefore those who hold a “contrary position” regarding a cloth covering cannot possibly be glorifying God? Like you aren’t David. You clearly are causing confusion for people who are just trying to be obedient to the simple commands of the Lord. So please unpack that for us, Jeremy. Just exactly how do you propose someone do this “without being legalistic”? Was it possible for those Christians in the first century church who were personally persuaded that circumcision was a “Biblical command” and not a matter of “Christian liberty” to “persuade and exhort others to” become circumcised “WITHOUT being legalistic”? Is that even possible? Just what does someone need to be guilty of in order for you to classify them as “being legalistic”? So it is “perfectly acceptable” for a “pastor over his flock” to “enforce” the head covering? What on earth does THAT look like? Very well put! It is hard to explain sometimes. I am pretty much the only one in my circle who wheres a head covering. And most responses (if anything) is the labeling of “law” or “legalism.” I am not outspoken about it. I was a little at first, cause of my excitement. I shared with the women i was close to and respected, however, was respectfully dismissed. It is one of the easiest commandments to actually do…ya put something on your head. 🙂 It is out there! I struggle between the “spirit” and “letter” often, yet i constantly need to remind myself, that conformity does not equal love. Legalism is requiring a work for salvation when it is by faith alone. 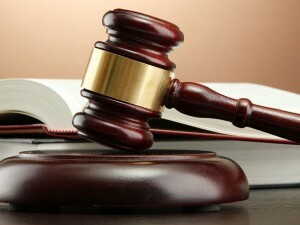 You know better than anyone here, Christian Filbrun, that the point that I am making is that something doesn’t necessarily cease to be “legalistic” just by slapping the clause at the end of the sentence “but I’m not saying that it’s required for salvation.” You should know this better than anyone here since those are the shenanigans that your church pulled just prior to kicking you out! Ginsuzake, do you think that the only thing that is necessary for something to be called “legalism” is that it is “required for salvation”? Yes, Christian Filbrun, that is the question. The hypothetical question that I asked does drive the point home, though. Regardless your question is the question I am after for Ginsuzake. It is also my question for you, Christian Filbrun, since you entered this conversation. Do you think that the only thing that is necessary for something to be called “legalism” is that it is claimed to be “required for salvation”? Please explain. I am not the person being questioned, but I’ll bite. I think you can absolutely be legalistic without attaching it to salvation. I believe that a pastor that requires a covering for “membership” in “his” church is out of line, and does not understand the role or definition of a pastor. Requiring baptism for membership would fall into the same category IMO. 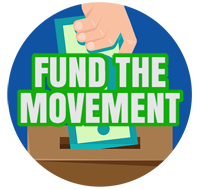 Requiring participation in communion, giving money, or attending every meeting for “membership” also. Requiring “membership” to participate in missions, evangelism, etc. The list could go on. This kind of legalism assumes an authority is given to the clergy that is not mentioned anywhere in the new testament. Yet all these things are given to us as believers to participate in. I do believe that the covering is for all believers, however, there is such a strong spirit of feminism in the Church (at least in the West) that I don’t have much hope that the average Christian will study the subject with a heart for the Lord’s mind. Before the first women (around 100 years ago) discarded their coverings, they discarded the authority given in the same teaching. I believe it’s the authority that is offensive to many, and not the covering itself. Can you be a believer, and call Christ “Lord” without studying it whole-heartedly? I think so. We all have areas in our walk that we are stubborn in. Men who don’t lead their families, women who dress immodestly, gossip, etc. Are they/we not believers? Only God knows. You can’t require maturity in all areas. We are all growing, learning, and hopefully continuing to sit at Jesus’ feet daily to see how we might better serve, and learning how to let go of our “self” little by little so that He might use us more. What your statements seem to be suggesting is that what is missing with the people who have not come to the conclusion that you have come to is that they have simply not studied it “whole-heartedly” like you believe you have. In other words, you seem to be suggesting here that if a person would only “study the subject with a heart for the Lord’s mind” that they would absolutely come to the same conclusions about it that you have. The fact of the matter is that there are more people who have “studied the subject with a heart for the Lord’s mind” than you seem to give credit for only because they have not reached the same conclusions as you have. I would challenge you to tell Daniel Wallace (who is quoted elsewhere on this site), for example, that the reason that he has not reached the same conclusions as you have on this subject is because he just hasn’t studied the subject with a heart for the Lord’s mind. I submit to you that I have studied the subject with a heart for the Lord’s mind. I have nonetheless reached a different conclusion than you have. In another comment on this site you wrote, “It is not something I flaunt in ‘self-righteousness’ and I have been maligned and judged for it.” I wonder if you recognize that perhaps you’ve done your own fair share of “maligning” and “judging” without even knowing that you’re doing it? I wonder if you recognize that you have made subtle “maligning” and “judging” insinuations in your very comment here? Maybe you have shared in another area, but how do you interpret the verses in 1 Cor 11? I apologize for coming across in the way you describe. That is not my intention. Is it equally judgmental to teach believers that they should be in fellowship with other believers? Or to participate in communion? Many don’t, and these physical things are also commanded to the Church. I don’t suggest anyone should do *any of these things if the only reason they are doing it is to please their pastor, or other Christians (including covering). Please remember that what I took issue with you about was the insinuation that the ONLY reason someone hasn’t come to the same conclusion as you have come to with regard to a piece of fabric on the head is because they haven’t “studied the subject with a heart for the Lord’s mind.” I guess I just don’t encounter Christians who try to build the case from the Scriptures that believers should not (or perhaps do not need to) be in fellowship with other believers. I’d be fascinated, though, to hear someone like that present their case from the Scriptures. Are these people monks? You know “many” Christians who believe this? I guess I’m just not sure who you are referring to. I do not know any believers that would try and defend this from Scripture. I do know a few that would say that “God knows my heart.” Therefore, it is not important for them to be in fellowship, or to consider studying it I suppose. I have just finished the first article you posted. I am enjoying it. It is refreshing to see a teacher that is really looking at the subject rather than simply dismissing it. In spite of the attitude I must have conveyed in my previous post, I am still learning and growing in my own walk, and continue to read various teachings on this subject as well as others. I have never seen anyone take the position regarding covering that Wallace is discussing. Back to reading…. Thanks so much, Kimberly. I think it is unfortunate that there seems to be a lot of “straw man arguments” out there that come from the pro-head covering crowd that similarly “dismiss” those who do not see the need for a fabric covering as either being completely ignorant on the subject, or worse, selfishly indulgent. I also do not see a problem with a hat being used as a covering. I believe it would be a good option for today. Hi Kay, Christ said – pick up your cross and follow me. The cross was humiliating for Christ – Christians today are mocked for their belief. I believe that feminists would be humiliated by it because they would not be able to submit to the governance of God. Submission should not be humiliating but humbling. Men are to be lead not to domineer. If I want my household to be loving then I must be loving, If I want my children to be hard working then I am to be hard working : Ephesians 5 gives a wonderful example of this – remember – the blessing is in doing what the Lord asks not what we feel we want to ignore or embrace. How many women are missing out on a blessing that the Lord wants to give through obedience of the simple command of head covering? There is a blessing in it – there really is. I agree. I do wear a covering, but believe his assertion that “humiliation” (or perception of it) would make the symbol invalid to be rather shallow in terms of study. 🙂 I like that he was willing to at least understand the teaching to be valid, rather than explaining it away as many do. I believe that the source of humiliation today is spiritual. KP Yohannan understood this in his book about the subject, which I read for the first time lastnight and would highly recommend everyone to read. He states that – if it is such a small issue then why does the devil go out of his way to be against it. I will go further on this though – I will stand up and be counted and I am not ashamed of the word of God. If, after such a clear teaching in scripture, men and women ignore that command given in 1 Corinthians 11 and choose to do so it just shows that they have a heart that is disobedient because the command is such a simple command and it is so plainly stated that children would have no problem understanding it. If the word can be used to rebuke and reprove as stated then I would warn those who reject this command and continue to reject this command and I would charge them, as Paul and all the apostles did, to be obedient to the traditions given to them. Once we begin to back down to people who refuse this teaching ( and baptism and many other simple teachings ) then it will weaken the congregation and it is only the devil who wants us to ignore the word of God. We must be stronger than this. Love isn’t just being agreeable with them – that isn’t love – the wounds of a friend are better than the kisses of an enemy. Those who profess to be Christians but argue over these things are just causing division based on their own twisted preference to what they want to follow. It is by standing on the apostles teaching that a Church is strengthened and it has been many a congregations downfall by rejecting it – the devil fully knows this and this is exactly where he has attacked believers – the apostles doctrine is almost abolished today in the churches and I for one will contend for it because it is the word of God there to protect us. Some of the worst people I have found for making women feel humiliated for wearing a head covering are professing to be Christians themselves. 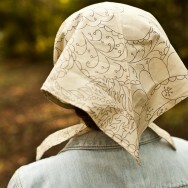 I have read of women in congregations who have asked the elders to put those women out who are wearing head coverings because they think they are causing divisions in the congregation. I know of one pastor who claims that women who wear head coverings are singling out themselves from the rest of the flock and causing people to look at them instead of God. All of these attacks are devilish. The root cause of these attacks is pride. So many Christians clearly reject the teaching of head coverings but would have no problem with dress code if their employer stated it in their contract. They would just do it – but they have no problem rejecting God. This is all because of liberal theology which is rooted in textual criticism which is a very good description of what they are doing – being critical against the teaching of God and they will stand before God and give an account for their actions. It takes someone who has no fear of God to explain away his teachings – I fear for them because they themselves don’t stop when they have rejected His word – they then continue to tell others and confuse others with their thinking – that is babylon – babylon is confusion and that is what they are doing – confusing people in their faith, confusing those who just want to simply honour God by following His simple commands.The reason I am highly critical of them is because they are highly critical of God. Paul spoke exactly the same to the Galatians. We must follow what the new testament teaches – We do not have to be circumcised today because the apostles clearly teach that we do not but we are clearly told in scripture by the same apostle that we are to honor the head covering. One of the reasons for this is also because of what happened in the garden of Eden. I timothy 2 teaches that Satan came to Eve and deceived her and man was then through his wife beguiled by the serpent. To stop a rerun in churches of what happened in the garden we had the head covering as a guard and protection – since the mid 20th century – head coverings have been rejected and only in these last days along with rejecting the head covering we have women pastors and now bishops clearly against the word of God and because they have come out from the covering of God they are going to be open to deception and them being pastors and overseers within a church – then that church is going to be open to the same deception that they are open to and serpent is going to weave deception into those congregations and he will be free to do this because no one is standing against the erroneous teaching being told by professing Christians who say, with no fear, “we can ignore head coverings”, “women pastors are allowed” and “there is no problem with women bishops”. It started by removing the head covering – it started by the women coming from under the protection and as Adam was weak in the garden to stand against what Eve was doing so are the men today who do not stand against the serpent who is eroding the protection given to us by the apostles. Read the comments here by Colin Saxton. He fairly and accurately represents the mentality of the people I’m talking about. Shift the focus from the physical covering – the blessing is in the doing (See 2 kings 5) – Naaman did not want to dip himself in the Jordan river, as requesting by God through the prophet, so his leprosy remained – when he did dip himself in the river then his leprosy was healed – was it the river that healed him? Or was it because he obeyed God? The blessings from the commandments of the Lord are in the doing not the physics surrounding them. The head covering is a symbol, as is the bread and wine and so is baptism, they are all symbolic of the greater truths that God has ordained behind them. If we can’t even do the simple physical side of things, get baptised, put on the head covering, then what is the state of the heart of the one who refuses to do the commands of the Lord? Its just exposing pride within the heart. If we refuse to do them – then okay – you can … do what you want. I for one, if I was a women, would have no problem whatsoever with covering my head – if you love the Lord that is? Was the apostle Paul being legalistic then when he commanded that the head covering is to be obeyed? You know David, the one who was taught by the risen Christ, the one who was lifted up into the third heaven – Paul the apostle – and shown things by Christ that he himself couldn’t even repeat to the congregation – was he being legalistic? Let us remember that Paul is only teaching what Christ told him to teach. If you are against Paul it is because you are against Christ. The thing is with head coverings is that the command is “so simple” that a child would have no problem understanding it once explained to them. It is just so simple that the only conclusion I can come to is that people “just will not do it” – I believe the root cause is pride – I really do and that is why I believe that the same pride was seen in Naaman in 2 kings 5 – simple commands have nothing to argue against – if we disobey them it is just because we think that we are right – there is no other explanation for it. Many, many people can disagree with me and no doubt they will but the command is so simple yet is so easily disobeyed. For people to break bread, in remembrance of what the Lord did on the cross for them and of His return to us – looking forward, without first being baptized – professing the Lord as their Saviour, makes no sense. If people refuse to be baptized it is the same as refusing to wear the head covering – it is pride and disobedience and the word says in 1 sam 15:23 (it is written) that disobedience is as the sin of witchcraft – they will without a shadow of a doubt push their beliefs on the rest of the congregation in direct contradiction to what is commanded in scripture – they will cause confusion and they will without a shadow of a doubt be the first to run when persecution comes for those who stand on the word of God. [Jhn 8:37-38 KJV] 37 I know that ye are Abraham’s seed; but ye seek to kill me, because my word hath no place in you. 38 I speak that which I have seen with my Father: and ye do that which ye have seen with your father. They are seeking to pull you away from your obedience to their disobedience and it upsets them to see obedient Christians – to them it is just “legalistic” to follow the apostles teaching. By the way, in case you guys haven’t been introduced to each other yet, Christian Filbrun meet Jeremy Gardiner. Jeremy Gardiner meet Christian Filbrun. Jeremy, our now mutual friend Christian here belongs to a church whereby virtually everyone in his church would give a hearty “amen” to your assertion here that a piece of fabric on a women’s head is not a matter of Christian liberty but rather a specific command given by God that is binding upon all believers. And the way they live that out is that women are REQUIRED to wear a piece of fabric on their heads. If a woman does not wear a piece of fabric on her head then she is not allowed to be a member of their church. If a woman who is already a member of their church decides for any reason that she no longer wants to wear a piece of fabric on her head, she is “put out of fellowship” (essentially kicked out of the church). And Christian has told me in previous conversation that if his church actually allowed a woman that didn’t wear a piece of fabric on her head to remain in his church as a member, he would leave that church and find another one that would not allow that to happen. Needless-to-say, Christian is pretty serious about this. He, like you, has felt a similar burden to write a book on this subject in order to contribute to the “head covering movement” that he, like you, believes needs to happen. I just thought I’d introduce you two guys to each other. You have a lot in common, though clearly you also see some things a little differently regarding this subject. I would very much like to hear you, Christian, explain to Jeremy why it is that you believe that the presence of piece of fabric on a woman’s head should be a test of fellowship. And I would especially like to hear from you, Jeremy, why you don’t make this practice a test of fellowship, especially in light of this most recent article that specifically makes the case that it is not a matter of “Christian liberty” but rather a binding command given by God to all Christians. I’m not “forcing” anything on anyone here. You wrote, “I support what you’ve written here.” So are you saying that a piece of fabric on a woman’s head is NOT a matter of Christian liberty? Please explain. I find it interesting that so many like to squabble over the simple posts, but posts like the one on the Hermeneutics of the passage, are ignored! So much simpler to be “contentious” rather then accept the meat of the Word, sadly. Excellent points. I’d add that verse 17 has the word command explicitly. Verse 17 is often a bit mistranslated because many traslations add a ne hjeadline before it. Literally it reads: “Now in giving these instructions (or conmmands – paraggello!) …” meaning, that this what is is writing just now is a command. Paraggello is mostly used in this sense in the NT. As far as I am concerned, Pope John XXIII did away with this with Vatican Council 2. Martin Luther (from the other post) was never part of MY religion. If 50 years ago the Pope admitted this was an outdated mode of traditonal oppressing of women, I’m OK with not covering my head. Really liked this article. I was taught that when Jesus said, “Depart from me, ye that work iniquity”, (Matthew 7:21-23), that word ‘iniquity’ could be translated ‘lawlessness’. We are not necessarily only judged on whether we commit ‘sins’ in the obvious sense, but also on whether we have come under His authority in a proper way. Just a thought to share and add. (Many times ‘lawlessness’ could be interpreted as just ‘doing our own thing’, in our own way). If this sounds off, or harsh, please someone let me know! It is what our pastor teaches, but he does not promote the head covering. I wish he did. [Mat 28:19-20] Therefore go all of you, and teach all nations, baptizing them in the name of the Father, and of the Son, and of the Holy Ghost: Teaching them to observe all things whatsoever I have commanded you: and, lo, I am with you always, [even] unto the end of the world. Amen. If Christ so ordained the apostles to be the early church teachers of His doctrine and practices then what gives us the right to replace them just because we don’t want to do them. When we reject scripture, especially the teaching of the apostles, we reject the word of God and if we reject the word of God it is because we are rejecting the living word of God – Christ Himself (John 1:1, Rev 19:13). It shows the spirit in the person who rejects scripture – are they for or against that which is taught in the word of God? You know the answer to that question. These kind of arguments against simple commands are what seems to cause most trouble. Baptism is another issue – Christ plainly teaches that believers in Him are to be baptized – to the point that He himself follows through as an example and is baptized by John the baptist. Yet today we have so many arguments for and against baptism you would think that the numerous accounts of baptism has been cut out of most peoples bibles. If Christ asks us to do something – just do it – we don’t have to know the exact ins and outs to follow a command from God! Can you imagine an army in which every soldier wanted to know every reason for every command – it would be in disarray- as is the church today over the most simple commands that we have been asked to do by God. Can we not see the trickery of the enemy – which fallen angel (fallen) in the bible always contradicts the word of God in order to cause sin – it is the oldest trick in the book. Only the devil would get you to believe – “Did God really say?” – if “It is written” – then yes – “God really did say” and yes we are to follow the most simple of commands. God has absolutely said to women “cover your heads” and to men “uncover your heads”. I see many times that people remove verse 1 (1 cor 11:1) while explaining head coverings but here Paul explicitly says – “Be followers of me as I am of Christ”. Can we not accept that this verse has just as much weight in the verses following it? As Christians we should seek to please the Lord not explain away His commands so that we do not have to do them. The Pharisees did the same…and also let us remember that Paul was once a Pharisee who after seeing the truth – many years later – knew that it was right to teach the church women to “cover your head” as much as the man is to “uncover his head” – If a preacher disagrees with this simple teaching then why not cover your head the next time you preach – many false teachers do just that! If we cannot follow the most simple of commands to either – cover (female) or uncover (male) our heads or dip ourselves in water to be baptized for the remission of sins – how are we going to cope with the mountain of deception that the serpent is going to (and is) bringing in the final days? People need to repent and do – only carnal christians would argue of why they shouldn’t do something so so simple asked by God – yet the same people would wear a tie if asked by their employer – why is it that you people would honor the commands of men above that of God? Because you are carnal and need to repent. Ephesians 5 teaches us that the women (symbolically) represents the church and the man (symbolically) represents Christ. Marriage itself is ordained by God to show the mystery of Christ and His bride – the church – this Paul explains in this chapter. 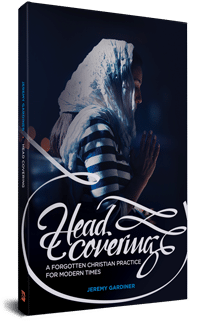 Applying this teaching to head coverings then we can see that for a women to remove the head covering is a type of the church removing itself from the headship of Christ – as it would be for a man to cover his head it would be as if Christ was hiding the glory of the Father. I fully believe that the devil used the same attack as in the garden of Eden – get the women to disobey the command of God…by getting the head covering removed it opened the women in the church to deception – the head covering was there as a blessing and also for protection against the angels that would ( and do ) seek to influence the church against Christ as much as those angels who seek to protect us. For the women to become bishops and preach in the church (against the word of God see 1 timothy 2:12-14) then the first thing the serpent had to do was remove the head covering – this was done and slowly over time we had women pastors and now we have women bishops — all of this is against the plain teaching of the word of God and it is in the plain disobedience against Christ and the Father that the church has fallen into deception and over throw by “doctrines of devils” – again – also clearly warned would happen by Paul who was taught this by the Holy Spirit directly.